Pizza night doesn’t have to be just cheese and pepperoni! 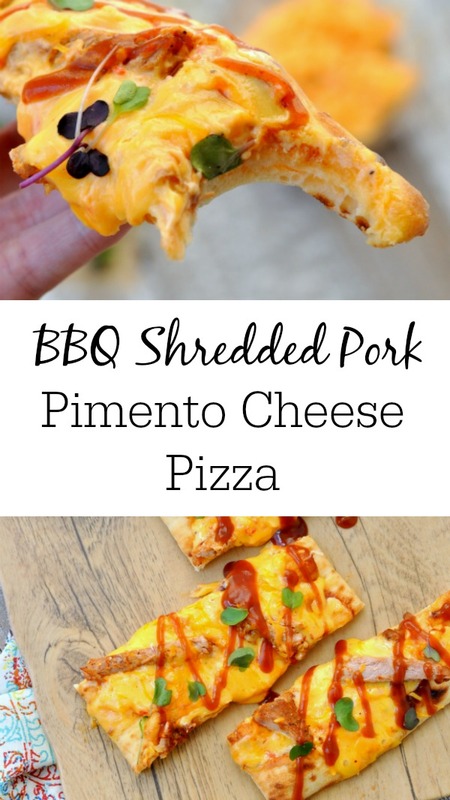 Shake things up with this BBQ pork pimento cheese pizza at your next pizza night or even for your next party! Pizza night doesn’t have to be the same boring cheese and pepperoni. 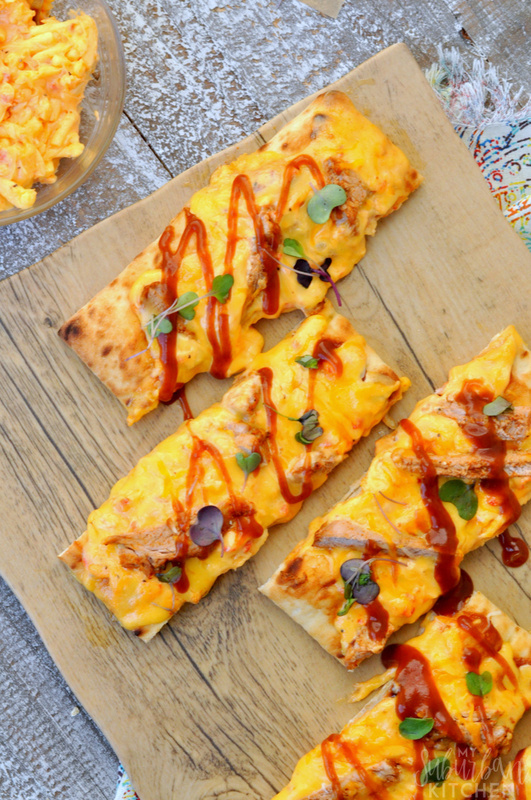 Step up your pizza game with a little blast of southern flavors next time and make a BBQ pork pimento cheese pizza. It is definitely a pizza that is unforgettable! This pizza was inspired by a flatbread we had during our trip to Charleston. We did a walking food tour (always a great way to experience a city) and one of the restaurants had a similar dish. Even my husband loved it and he normally isn’t a big pimento cheese fan. This pizza uses only a few ingredients which makes it perfect for a busy weeknight. 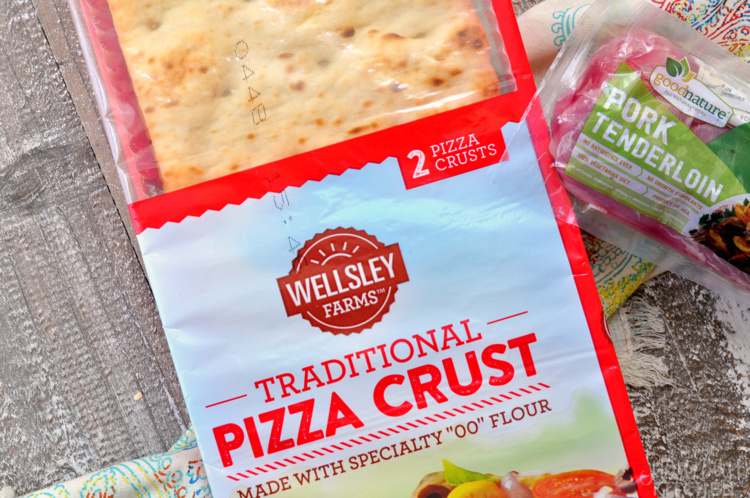 I use a pre-made crust but, if you have a favorite homemade dough, go ahead and use that. Just partially bake it first. In a pinch, I have also used the pre-cooked shredded BBQ pork at my local store. I definitely prefer the homemade version in this recipe but it is an option if you are pressed for time. 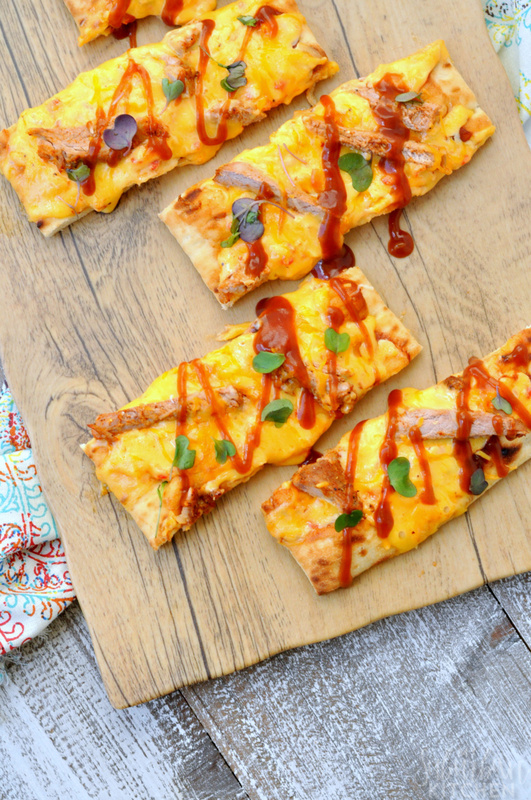 This BBQ pork pimento cheese pizza also makes a great appetizer. Just bake it and then cut into strips for a fun addition to any party or event. I even add a few microgreens on top for a little extra bit of color. 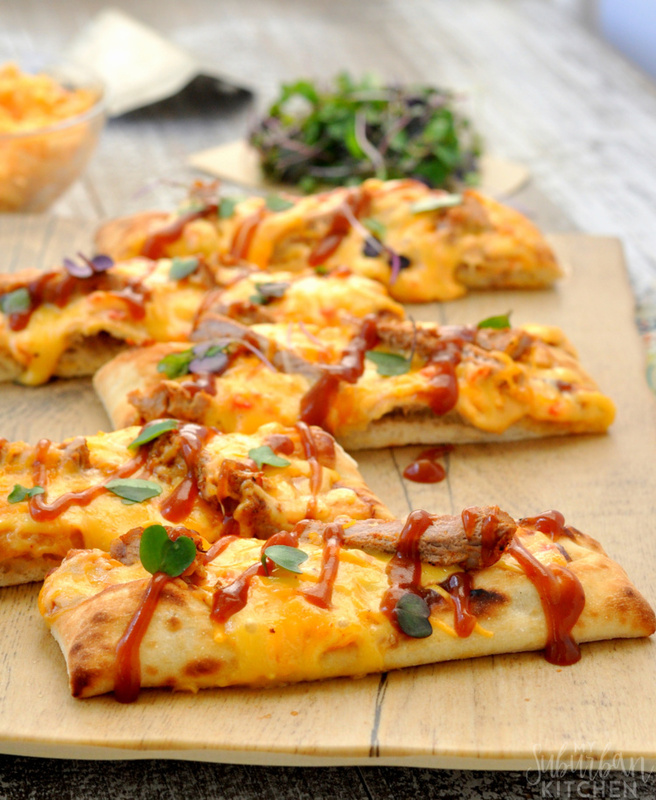 If you make this BBQ pork pimento cheese pizza or any recipe from the blog, I’d love to hear about it. Leave me a comment below or snap a photo and tag it #MySuburbanKitchen on Instagram or Twitter. 1. Preheat oven to 350 degrees. Line a rimmed baking sheet with foil. Set aside. 2. Season pork with salt, pepper, chili powder, cumin and garlic powder. Place on prepared baking sheet and cook for 20-25 minutes or until cooked through. Remove from oven and shred or cut into small pieces. Combine with 1/4 cup BBQ sauce. 3. 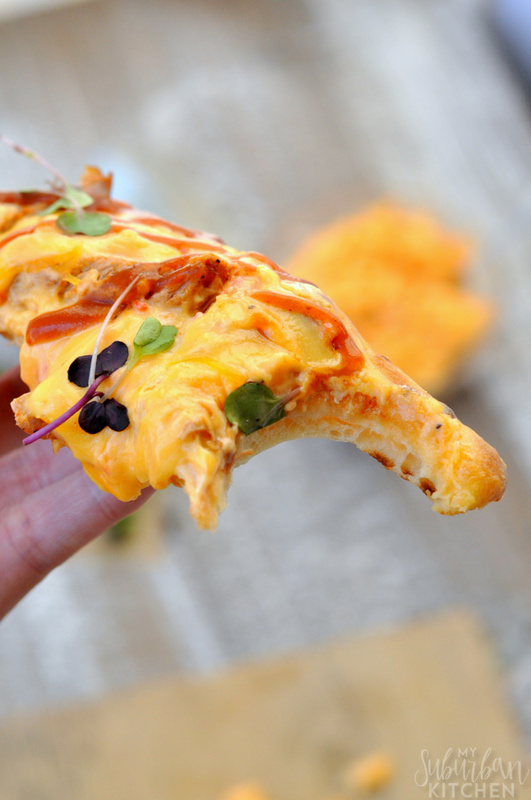 Spread pimento cheese onto pizza crust. Top with pork pieces and shredded cheese. Bake for 10 minutes or until cheese is melted and bubbly. Remove from oven and drizzle with remaining BBQ sauce.